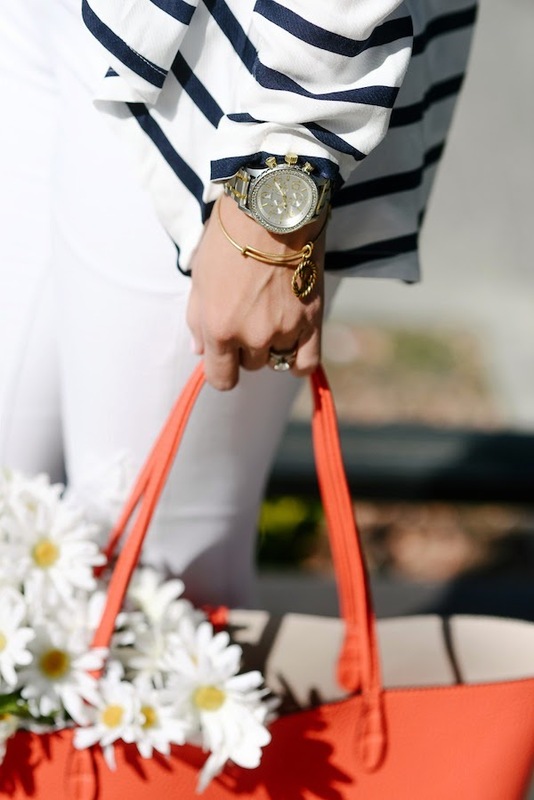 Have you found a favorite Spring pick?! 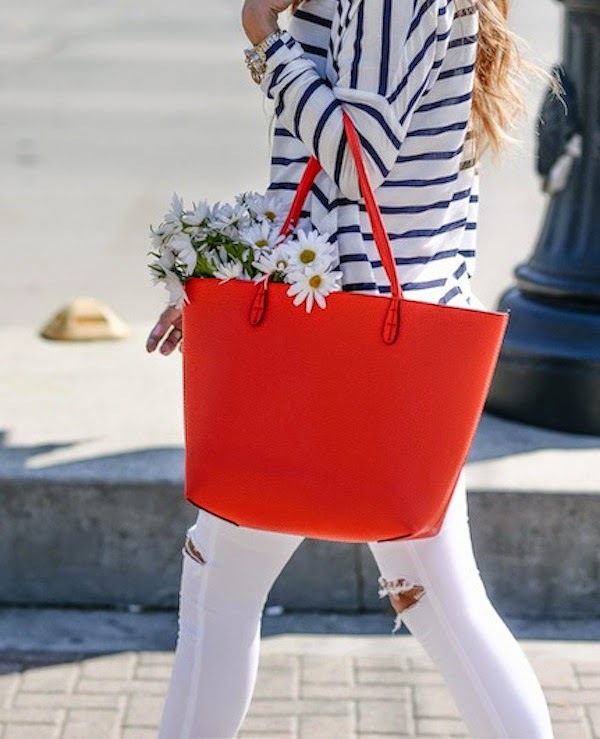 Such a fun tote! 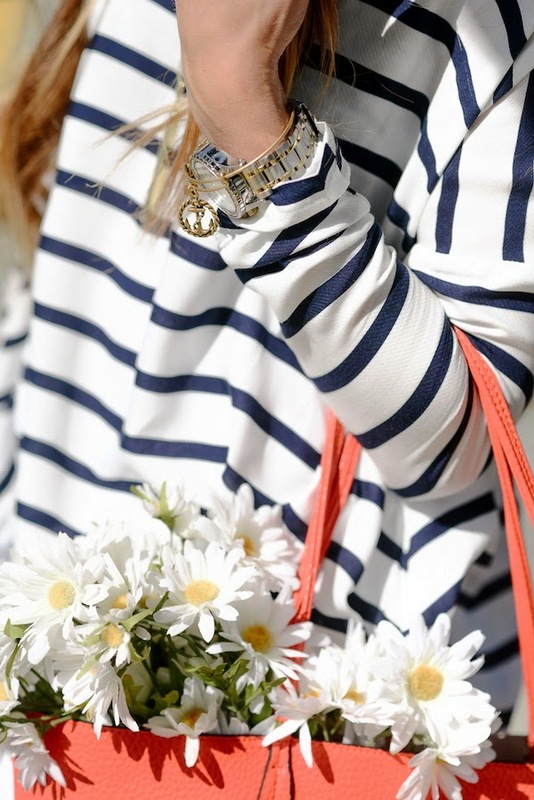 Love this nautical look. I just started a blog and was wondering how did your blog get so famous and what did you do to get it that way? this outfit is absolute perfection!! 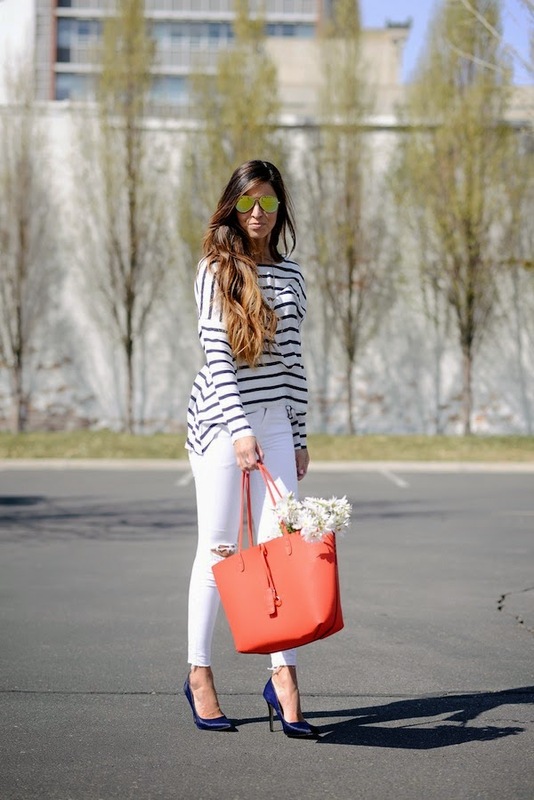 I love the white jeans, can't wait to wear mine again post baby!